His entrepreneurial spirit and dedication to customer service are some of the factors which helped Rich Barton make the decision to open his own rent-to-own business. After being in the rent-to-own industry for 20 years, Rich discovered The Premier Companies through industry publications and networking with rent-to-own store owners in Connecticut. He researched other franchise opportunities and quickly learned that The Premier Companies was the perfect fit for him. "I saw tremendous benefit in the support system that The Premier Companies provide with training, operations, accounting, marketing, and their own human resources service, Premier Human Resources," said Rich. Torrington is a conservative community. What works here isn't necessarily going to work in every market across the country. "Premier is flexible in that regards. It is not a one glove fits all system," continued Rich. The Premier Companies has an open line of communication. Rich enjoys the fact that dealers are able to share ideas with each other and that they meet twice each year at the National Convention and at the Dealer Retreat. Rich felt it was time to return to his entrepreneurial roots by opening his own store and to get back to the basics and away from non productive corporate policies and procedures. "Opening my store is a great opportunity to get back to the grass roots of customer service – talking to people and getting to know them. Treat them the way they should be treated, and to not look at them as just another number or quota to reach," said Rich. 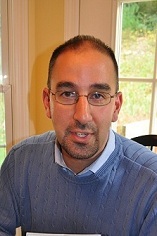 Rich resides in Hartford County, Connecticut with his wife, Amy and their three children.